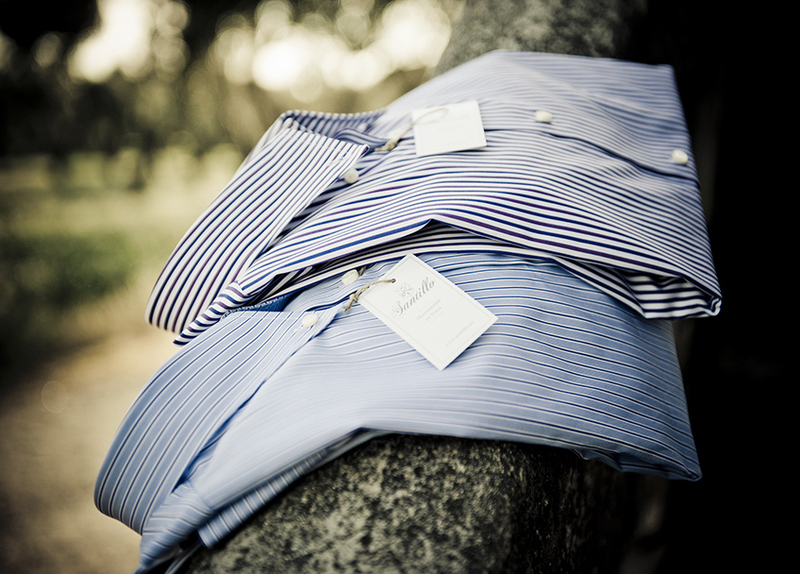 Shirtmaking: a tradition handed down across the generations. Though drawing inspiration from antique Neapolitan craftsmanship, it is in Calabria that what we know today as Santillo 1970 originates. Project “Roots” is more than a simple project: it is at the heart of the Santillo philosophy that looks to the future and all that change entails without ever abandoning its own roots and traditions. Traditions strongly tied to Santillo’s beloved Calabria, a land conquered by the Byzantines and Greeks, rich in history and culture, and in many known and unknown crafting techniques. It is through continuous research and the desire to improve that the decision is made to revive the antique processing of the Scotch broom or ginestra plant (o gorse) and use it in the Project Roots. The main idea is to utilize the Calabrians ginestra plant mixing it to the linen and cotton to make it soft. The union of which will create textiles which will eventually be elaborated from ancient restored weaving machines of the ‘900. They also will be textiles of very high quality raw material without ritorciture and yarns titles of very high quality. Which the uniquely caracterized some of the exclusive Santillo creations. The choice of ginestra plant came almost naturally because the cultivation processing and the presence of this plant throughout our territory as very antique and profound roots. It grows mostly near the mediterranian due to its mild winter climate. Utilized since ancient greek times shrub plant throughout various century has found in Calabria its natural habitat so much so that it’s still cultivated nowdays in numerous towns of the surrounding local area. in addition to other processing such us the “croquettes” utilized to make ties realized exclusive “handmade”.